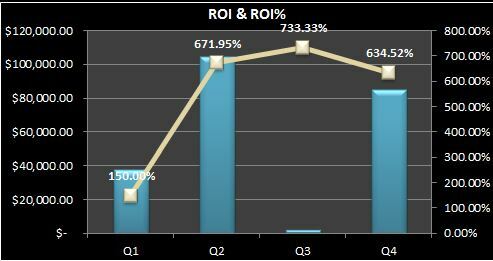 Every business wants to succeed and the way to succeed is to constantly be improving your Return on Investment (ROI). Well, how do you do that? You will start by tracking your current ROI then testing new ways to improve it month after month. The Marketing ROI Calculator is a free tool to help you do just that. 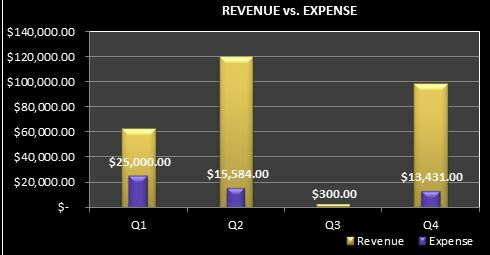 You can choose the year you want to start tracking your ROI and use this template to calculate and document your return on investment for any aspect of your business. 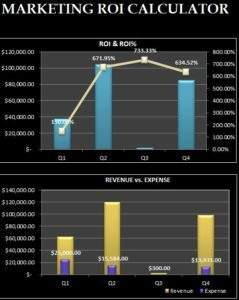 This template includes a plethora of helpful graphs, instant data calculation, and a user-friendly design. Best of all, you don’t have to spend a dime to use it. You’ll just follow the simple set of steps below to learn how to download then use this great business tool. After you follow the link at the bottom of this page, choose the year you want to calculate your return on investment for at the top of the page. You will start by entering your profit for each business quarter in the small purple table near the bottom of your screen. Next, scroll down to the bottom of the page until you reach the yellow table. 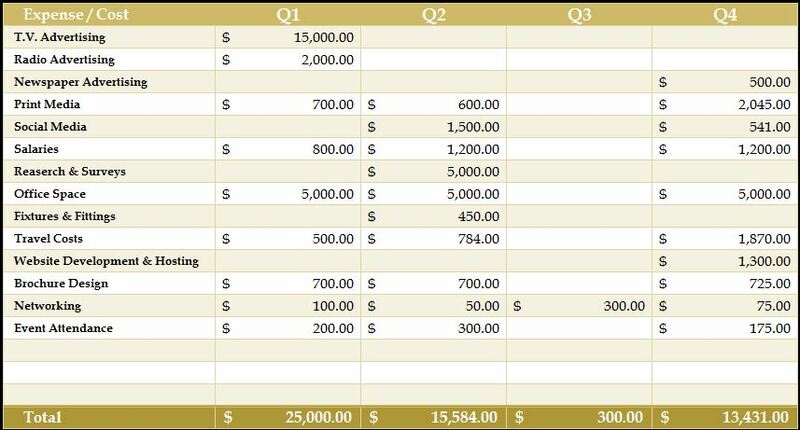 As you will see from the image above, you will enter in all your recurring expenses and costs in the first column of the table. The next few columns allow you to enter specific amounts for each business quarter. In our example for advertising, the first quarter for this business spent 15,000 dollars. You just need to go through the first column and replace the examples everything that you use for your business. It’s just that simple! The template will then take your data and give you helpful feedback. The first is the total return on interest (ROI) for each quarter. This is displayed in blue at the very bottom. 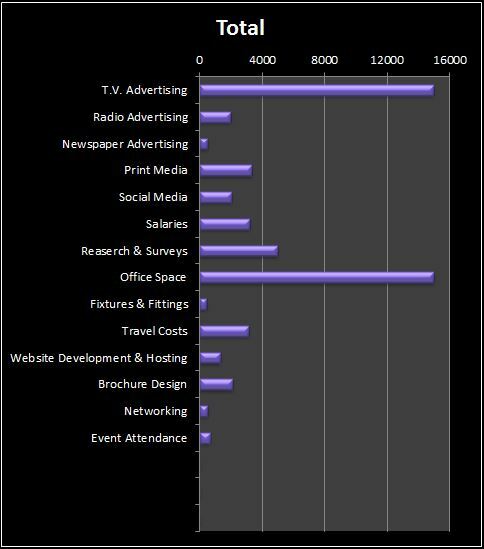 And finally, the total amount of spend for each category. 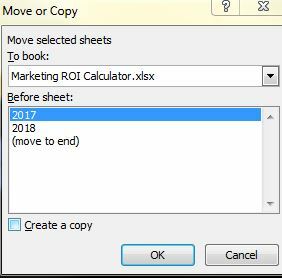 With all your data entered for the year, you can copy this template by right-clicking the file and pressing “Copy” then “Paste” somewhere on your desktop, then renaming it to reflect the upcoming year. Then just save your old file on your computer for future review. You can right-click on your tabs below. Then select “Move or Copy” and check the “Create a Copy” option in the box below. Finally, just right-click on the new tab and select “Rename” and entering the next year you want to track. All that’s left to do is scroll back to the top of the page and save your file for good. The Marketing ROI Calculator is a powerful tool for smaller businesses to track and improve their return on investment (ROI) for any and all elements of their business. Get started today by clicking the link below.